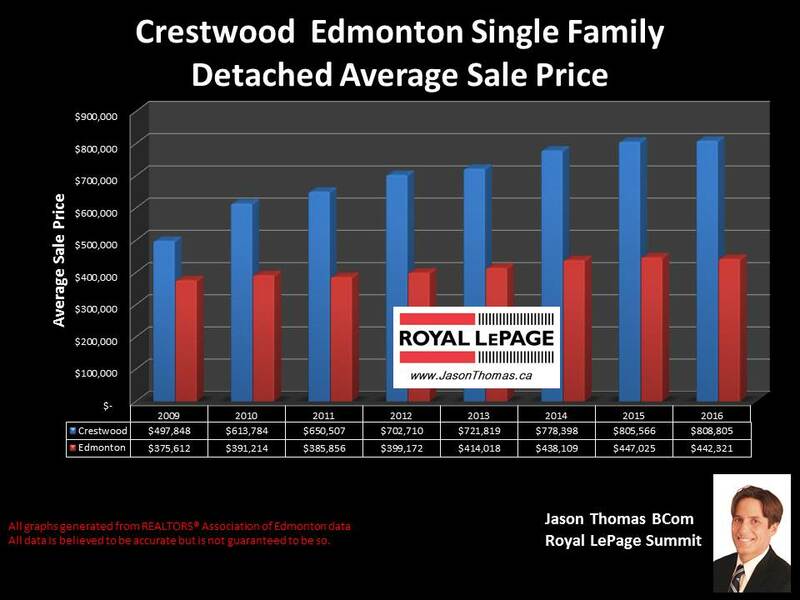 The average selling price for a single family detached house in Crestwood is up marginally from 2015, Crestwood is currently selling for $808,805 and it finished 2015 at $805,566. The average time it takes to sell a home in Crestwood in 2016 has been 48 days. That is almost exactly the same as the Edmonton average days on market of 49 so far this year. The highest price that a home has sold for in Crestwood this year has been $1,675,000. That was one of 5 homes that have sold for more than a Million dollars this year in Crestwood. The home that sold for $1.675 million was an infill built in 2014 and over 3000 square feet.